Along with the Wallace fountain, the Morris column is an icon of Paris that everyone knows to see, but whose name is known by few. Its main function is to advertise theatrical shows. 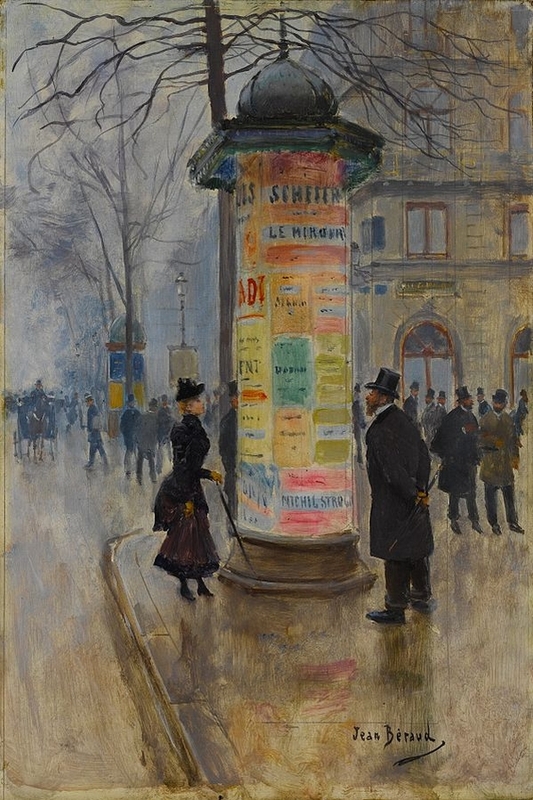 The original advertising column was designed by a German printer, Ernst Litfaß (or Litfass) and the first models were installed in Berlin in 1855. The French version was created by Gabriel Morris, also a printer, in 1868. Some served a dual purpose, for example to store cleaning equipment for street cleaners. Before its introduction, advertising for theatrical events was a haphazard affair, with posters being hung on trees, lampposts and the walls of public urinals. The city authorities decided to standardise the business and granted an exclusive contract to Morris. The design has changed little in the century and a half since their introduction. 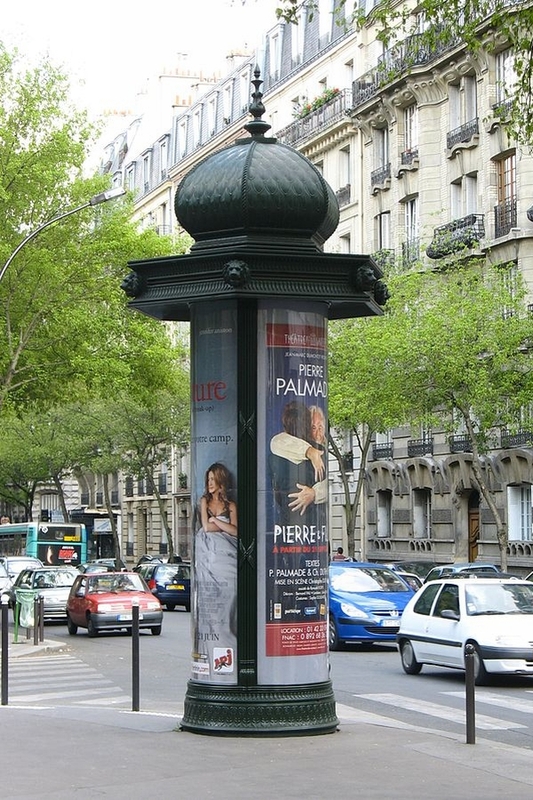 The cylindrical column is topped by a hexagonal dome bearing the arms of the City of Paris. There are several hundred installations in the city. Many of the older models have been replaced and they are now maintained by JCDecaux, the same company that installs the city's bus shelters, advertising billboards and runs the self-service bicycle system, Vélib. The German word is "Litfaßsäule", which means literally "Litfaß column". Little known fact. You can also step inside of them - after you pay the subsciption fee and get a key - and travel throughout Paris by a pheumatic tube system. Of course you are upside down when you reach your destination but that is a small price to pay for the convenience of not having to take the Metro.